Sony Ericsson is always known for incorporating the popular Sony technologies in their mobile devices. The trend started on Sony Ericsson mobile phones with Walkman and then Cybershot range of camera phones. The latest among them is the Sony Ericsson Xperia Play smartphone that was announced today at the MWC in Barcelona. Sony Ericsson Xperia Play is an Android smartphone designed for gamers. It is one first Sony PlayStation certified mobile gaming device and the first for its kind in the Android mobile range. The device has a hinged slide-out gaming pad with suitable keys. Sony Ericsson Xperia Play has all the features of a high-end Android smartphone. The specification list includes 1 GHz Scorpion ARMv7 processor, 5MP camera, up-to 32GB Micro-SD support( 8GB included), 400MB internal memory, and a 4 inch capacitive touch screen. Included processor is much powerful that it supports 3D games up-to 60fps. The slide-out panel in Sony Ericsson Xperia Play reveals D pads, touch pads, shoulder buttons, etc. that could make the gaming as good as in a PlayStation device. It comes with Android 2.3 OS and over which a custom Sony Ericsson UI, and gaming related application are included. At present, the number of games in the Android market is very less when compared to the iOS app store. 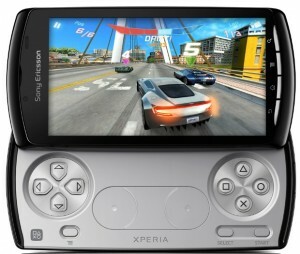 Introduction of Sony Ericsson Xperia Play would bring more and more game developers to Android platform. Sony has included a Xperia Play app in this smartphone with which users find and download games optimized for their devices directly from the Android market place and the proposed Sony Ericsson store. Sony Ericsson Xperia Play will be launched in the USA market from March 2011. Sony Ericsson is in talks with global network providers for setting up price and plans. We will update you with more details, as soon as they are made available. Its play station keys enhance gaming experience to a great extent! I’m a happy user!